View of Okanagan Lake from Apple d’Or. The exterior of Apple d’Or. The great room of Apple d’Or. In the valley, among the vines. British Columbia’s Okanagan Valley is attracting international attention as a New World wine region poised to become one of the best. Those savvy in the international wine business understand that the Okanagan wine-country offers exceptional value compared to other global wine producing regions, many of which are older and much more established. That value is being measured today in terms of both Okanagan Valley wines—many of which now compete at an international level—and the relative value of real estate compared with projected business cash flow from Okanagan wine properties that can be acquired in an area offering some of the best growing conditions and lifestyle options. Sotheby’s International Realty Canada has been working over the last few years to assemble a portfolio of winery and vineyard listings, aptly called the Okanagan Vineyard Collection. There’s more to the Sotheby’s role with this unique collection than merely a real estate company that bears the high-profile name of an auction house. Sotheby’s international wine department is led by Serena Sutcliffe, a master of wine and considered to be a leading authority. She heads one of the most experienced and successful teams in the wine auction business, having sold wine in London since 1970 and in New York since 1994, with worldwide sales of more than $130-million over the last five years. 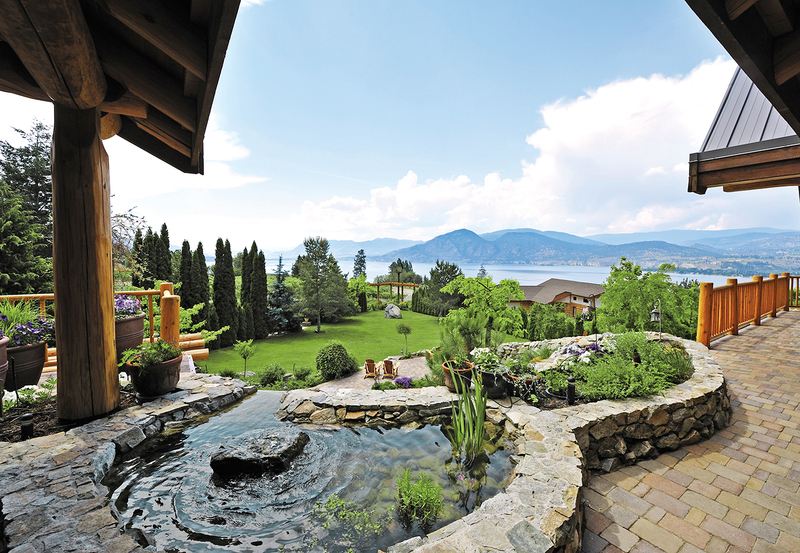 Sotheby’s representatives on the ground in the Okanagan are able to tap into her international wine industry network to generate worldwide interest in this unique collection of properties. “The wine industry has a world focus,” says Keith Holman, a third-generation Okanagan Valley farmer. “If this area wants to bring new people in to help us move to the next level, you need to reach out to the world.” Holman, who had been an orchardist for 30 years before he started Spiller Estate fruit winery in Penticton in 2003, sees this portfolio of Okanagan wine properties, three of which are his own properties, as a turning point for the local cottage wine industry. 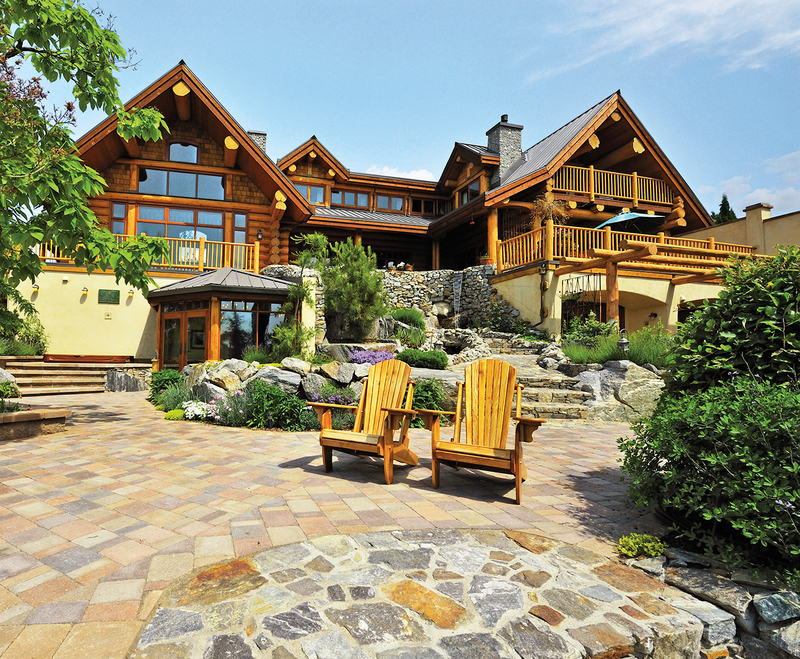 An example of one of the great properties available in the Okanagan Vineyard Collection is perhaps one of British Columbia’s most exquisite and luxurious guest houses, Apple d’Or. The only five-star accommodation in B.C. 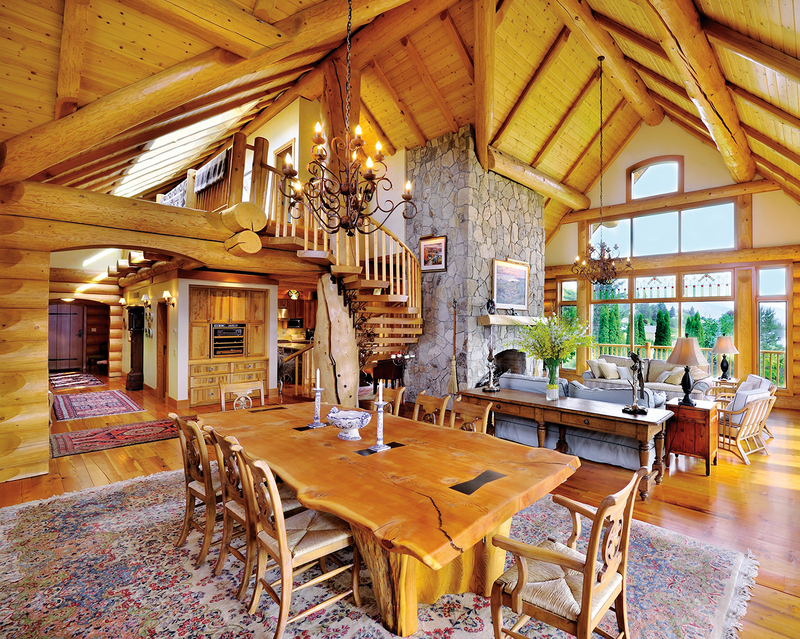 east of the Lower Mainland, the house is an impressive country-style building and was constructed of hand-hewn logs and extensive stonework combined with plenty of glass that frames sweeping views over Naramata and across the lake. One of the jewels of the Okanagan Vineyard Collection is perhaps one of B.C.’s most exquisite and luxurious guest houses, Apple d’Or. Apple d’Or was the painstaking creation of proprietors Colin Moores, a retired mining executive, and his partner, Holly Stevens, a surgeon who works in the Penticton Regional Hospital. They purchased the 1.3-acre property, formerly an apple orchard, a decade ago and began their planning. “Every rock, every plant, every board was put there by us,” says Moores. The massive structure’s ceiling rises to a soaring height of 7.3 metres in the great room, with a stone fireplace located opposite huge custom wood-framed windows that look out over the lake. The grand 12-person dining-room table has a solid fir tabletop weighing 363 kilograms and a cedar base. A large stone terrace wraps around the main part of the house, offering an ideal place outdoors to capture evening sunsets. The upstairs features a guest room, office, and master bedroom. A dedicated entrance on the main level provides guests of Apple d’Or with access to a guest lounge, with its own dining area and outdoor terrace. A staircase leads down to the lower-level guest wing where three exquisite suites called Ambrosia, Silken, and Sunrise are located. All separate in size and character, each suite is self-contained and consists of a sitting/dining area, small kitchenette, bedroom alcove, and generous spa-style bathrooms. The suites also have their own private garden terraces. And a few steps down from the main lawn are an Italian-inspired swimming pool with a waterfall and a stunning view of the lake. Like all of the Okanagan Vineyard Collection properties, Apple d’Or also has a little vineyard that produces a small annual yield tended to by Moores, who is mastering winemaking to create his own champagne-style sparkling wine. A separate semi-detached coach house off the main house has a ground-floor room that can be used as a winery, and it has a guest residence above. Building the one-of-a-kind Apple d’Or was a real challenge for Moores and Stevens. “We had so much fun designing and building this place. Now that it has been completed for a while, it is time to move on,” says Moores in explaining their decision to list the property for sale. This sentiment is one that can characterize the motivation behind a number of the vendors of the properties in the Okanagan Vineyard Collection. They have done the heavy lifting involved in putting the Okanagan Valley’s wine country on the international map. Now, they’re offering an opportunity for others to move it to the next level.